"St. Agnes please pray for us!" "Happy Birthday to you , Karen. 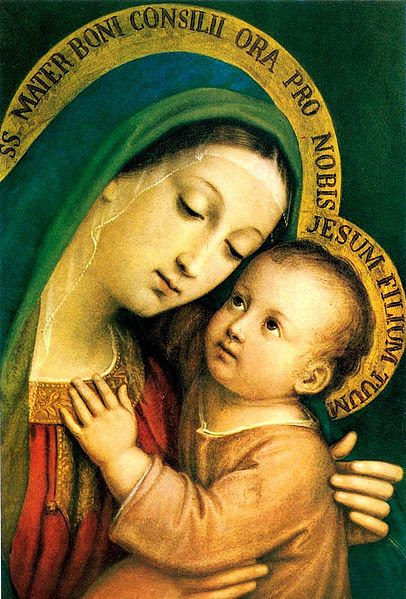 May the Lord bless you and our heavenly Mother Mary hold you tightly within Her loving arms and cover you with Her mantle of protection always." "Karen, may God bless you and the Virgin Mary protect you. Happy Birthday!" "Karen Karwowski , I will add your fathers name, Joseph Simonetta to the Prayer Group of ST. Gertrude The Great for the suffering souls in purgatory." "Amen. Will be on my knees praying this on Good Friday." Happy Birthday to you , Karen. May the Lord bless you and our heavenly Mother Mary hold you tightly within Her loving arms and cover you with Her mantle of protection always. Karen Karwowski , I will add your fathers name, Joseph Simonetta to the Prayer Group of ST. Gertrude The Great for the suffering souls in purgatory. A most blessed birthday, Karen! Happy Birthday, Karen, and many more! May God bless you on your special day and always! Yes the invite is for all who are members of the Perpetual Rosary Groups. HERE is the explanation and HERE is the condensed group. Thank you for your patience and God bless you always! Hi Karen! Welcome to the Crusaders! Thank you for praying here with us all. Would you like to join that group? If so let me know and we can set you up with a decade.